If they can stay alive and learn how to share one body, that is. Now, a millennium old Demon who has no morals is stuck with a hard-headed young woman, who has her own ideas regarding what her future will be. Together, they work out a truce, of sorts. Until the Demon gets hooked on soap operas, game shows and changing Katie’s body without permission. From a crater lake on an island off the coast of Bronze Age Estonia… to a crippled Viking warrior’s conquest of England… to the bloody temple of an Aztec god of death and resurrection…. Their presence has shaped our world. One month ago, an urban explorer was drawn to an abandoned asylum in the mountains of northern Massachusetts. There he discovered a large specimen jar, containing something organic, unnatural, and possibly alive. Now, he and a group of unsuspecting individuals have discovered one of history’s most horrific secrets. Whether they want to be or not, they are caught in the middle of a millennia-old war, and the latest battle is about to begin. In 1691, the town of Crossfall taught the witch Thessaly how to die. They beat her, they shot her, they hung her–but nothing worked. When they finally tried to bury her alive Thessaly set the field against them. The first man died as a gust of wind harrowed the meat from his bones. A root,flung like a dirty javelin, cut a second man down. Many more deaths followed. The Preacher Fell impaled the witch upon her very own broom but she dragged him down into the field to wait for three more centuries. Men will call him the Tatterdemon. And hell–and Thessaly–will follow! In this small town, keeping secrets is a matter of life or death…. East St. Louis deputy Patrick O’Shea is tired of living in the line of fire. So when he gets a chance to transfer to his wife’s small hometown, he doesn’t hesitate to load up the moving van. But his family’s bags are barely unpacked before their newfound peace and quiet shatters in a surge of demonic voices…. The deputy has faced his fair share of evil, but nothing quite like this. Normally the first into the fray, he worries they’ve unearthed a force not even his special training and inner-city experience can combat…. Can Patrick protect his family from supernatural foes, or will a festering evil consume the ones he loves most? 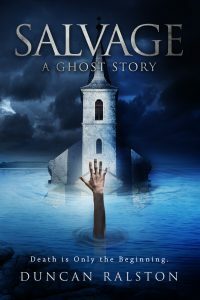 The Dark Sacrifice is a haunting horror novel not for the faint of heart. If you like supernatural chills, family secrets, and ominous small-towns, then you’ll love Jay Bower’s spine-tingling tale. Within hours of the outbreak, the quarantine was sabotaged. 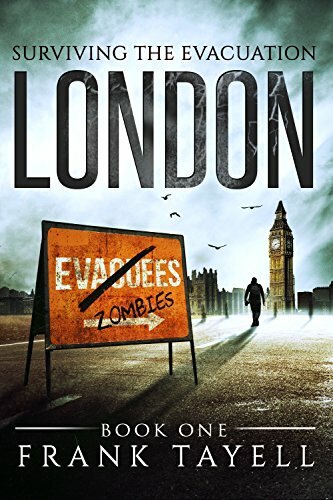 London was evacuated, but Bill Wright was left behind, the last man alive in a city of the undead. The series continues in Book 10: The Last Candidate, out now. A gritty whodunit with supernatural scares: Homicide detective Aaron Sanders is up against a murderous demonic force in this suspenseful blend of mystery and horror. Blue remembers the first time he saw a dead person rise from the grave. He was at a party, trying to get some hot food and some hot girls, when Kenny’s dead grandmother turned up. Uninvited. Soon, half his friends were dead. To make it worse, the government covered the whole thing up. Now, with no one (alive) believing them, it’s up to Blue and his friends to stop a Secret Government Agency(TM) from using his tiny little town as a zombie experiment lab. A horror comedy that will have you both laughing and scared at the same time. Bileth, mighty Queen of Hell, can make you rich and famous. But, only if you are willing to sell your eternal soul! Behind the glittering facade of pop music hides the darkest of secrets. And the truth behind legendary pop icon Paul McCartney is dark indeed! But for two rising teen stars appearing on popular talent show American Siren, nothing will stifle great dreams of pop super stardom. When an epic bargain is struck with Bileth from beyond deaths dark door, two immortal stars are born. However, for Lilith and Zachary, they soon discover the price of fame and fortune may be way too steep, and become embroiled in a web of sinister intrigue from which they may never escape. Can one pop legend save the innocent from the powerful spell of an ancient and evil spirit, before it is too late? The howlers are eating each other. What is left of humanity has a chance to breathe at last. Each group that forms has to consider how they will begin anew. They must come together on how to take care of the remaining monsters, grow food, teach kids, and deal with their dead…or fall apart in the pitted wasteland left to them by the zombie apocalypse. Can humanity get it right this time? Or will the last human become The Last Zombie? TERROR COMES TO SIN CITY. Bizarre murders. Disappearances. Suicides. Sightings of strange creatures in the night. The strangeness soon snowballs out of control, with people turning insanely violent without warning and sinister cults growing bolder and more dangerous. Nightmares come to life and monsters walk the streets of Las Vegas. And all those events are but a prelude to something far worse. Darkness is coming. A police detective, a street gang member, an exotic dancer and a visiting tourist cross paths with a bizarre collection of occult troubleshooters trying to prevent the looming disaster. Their actions will determine whether or not Las Vegas will be destroyed by the occult forces gathering around it – and whether or not the rest of the world will follow. The Somme Offensive, 1916. Harry Doyle is a young, overawed British infantryman struggling to come to terms with the insanity of war. His main objective is staying alive, and getting back home to his family in one piece. But his hopes begin to diminish when he realises the full extent of the misery and destruction around him. And the German war machine isn’t the only thing he has to worry about. Something else is preying on his friends and comrades in the trenches, picking them off one by one. Something no amount of military training can prepare him for. Proceeds from this book will be donated to the Help for Heroes foundation. This book contains descriptions of graphic violence and is not suitable for minors.